In a study comparing two forms of cognitive training for patients with schizophrenia, one—focusing on the brain’s executive functioning—appeared more likely to help with social skills and functioning in the community after training was completed. A study just published in the American Journal of Psychiatry compares the two dominant approaches for treating cognitive deficits in people with schizophrenia, symptoms of the illness not addressed by antipsychotic medicines. It showed that both approaches were effective in addressing specific cognitive problems, but only one appeared to have benefits beyond the treatment period which translated into an enhanced ability of patients to function in the community. 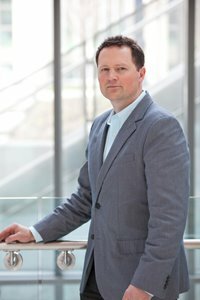 A team led by Christopher R. Bowie, Ph.D., of Queen’s University, Ontario, randomly assigned one half of a group of 70 patients with mild to moderate schizophrenia to a program of training that stressed perceptual skills, and the other half to a program that stressed executive functioning skills. Both forms of cognitive training target specific deficits seen in most schizophrenia patients, and are associated with different levels of brain activity. Perceptual training is based on the theory that biological impairments in the brain’s perceptual machinery affect higher-order abilities such as the ability to read social cues or to communicate verbally. Executive training focuses directly on higher-order abilities, which have been linked to poorly synchronized neural networks in the frontal part of the brain’s cortex. Dr. Bowie, a 2013 BBRF Independent Investigator and 2007 and 2003 Young Investigator, and colleagues, said that their study was the first, to their knowledge, to compare the two cognitive training approaches. The results are important since only about 25% of patients, the team says, experience a “functional recovery”—the ability to successfully function “in the community” following standard treatment. Most patients do not receive cognitive training of any kind, partly accounting for this low figure. The team’s trial, which included 28 hours of training conducted over 6 weeks—shorter than most cognitive training programs—showed that perceptual training improved certain measures of brain function affecting perceptual ability significantly more than did executive training, when measured immediately following treatment. These improvements did not persist, however, at a follow-up 12 weeks later. In contrast, training focusing on executive skills boosted patients’ scores on several important measures of higher brain function that typically translate into improved community function. Interestingly, these improvements were not apparent immediately following treatment, but were clearly evident at the 12-week follow-up. “Treatment effects from executive training techniques are more likely to transfer to community functioning and persist,” the team wrote. “In fact, it appears to prime the individual for further functional improvement once treatment ends, suggesting that a brief dose of executive training may provide ongoing benefits and should be prioritized [among various treatment targets] within cognitive remediation.